It’s no secret that even with declining ratings, AMC still wants to milk as many sequels, prequels and spinoffs out of The Walking Dead as possible. But what popular characters can the original show spare that they haven’t already killed off (or sent away in a helicopter)? To put it another way, what if Maggie never actually comes back to the Hilltop, but has her own solo adventures instead? THR asked Lauren Cohan to address a rumor that AMC is interested in launching a separate series centered on her character. “There may have been some conversations, but everything is so early-days ambiguous. Me, as much as anybody, we’ll have to see what happens,” Cohan replied. Obviously, the scope of what AMC does with Maggie will depend on the success or failure of ABC’s Whiskey Cavalier, which premieres February 24 and stars Cohan as Frankie, a no-nonsense superspy. If America loves Frankie, that could mean a whole lot less of Maggie. But if they reject Frankie and want Maggie back, there will be much, much more Maggie all of a sudden. 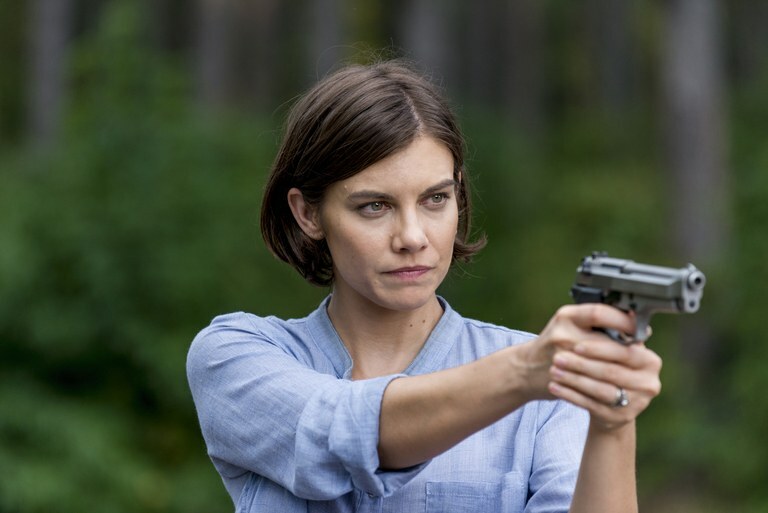 Cohan is open to returning, and her departure from TWD wasn’t a bridge-burning thing. “I don’t even think that it was bad,” Cohan said. “It was like, I’ve done the show for a long time. It was a long time to be in any character, and sometimes you just get quiet and listen to your inner guidance, and it’s time to multitask.” But how much multitasking is she willing to do — are we talking series, or TV movie? “We’ll see what happens,” she said cryptically. The Walking Dead returns for a Maggie-less Season 9B this Sunday on AMC.